Measles is an infectious and eruptive disease which is also a highly contagious one. In the wake of it a lifelong immunity takes hold. A directly transmitted airborne virus is the pathogen which is involved in this condition. Humans are the only "virus reservoir" and there is so far no specific therapy for the disease. It starts like a severe upper respiratory tract infection with is progressively rising fever. Mouth mucosa is bright red with a few characteristic whitish specks. Identification of the rash is easy on a dark skin as it comes with an oculo-nasal catarrh and with a watery conjunctive discharge. 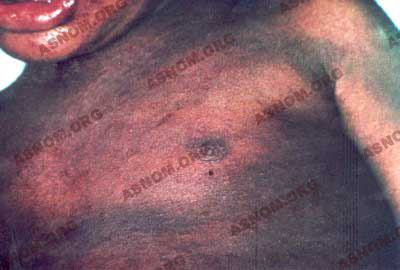 A few days later when desquamation occurs the patient's skin looks like it has been spread with flour. Fatalities are rare in Europe with uncomplicated cases but in tropical settings, measles is an extremely severe condition which is responsible for the death of many infants. Whenever the fever fails to subside, it is an indication of a possible middle ear infection or of a secondary pulmonary infection such as a scary bronchopneumonia. Associated Malaria, often of the pernicious type, can also be the reason for a persisting high grade fever. All these complications carry a high mortality rate. With no appetite this sickened child is often left unfed and moreover with the feeding restrictions for febrile children which often come with Africanlore, dehydration and then death will possibly occur. In the wake of measles the way is often paved for a long lasting nutritional deficiency syndrome named Kwashiorkor. Ocular involvement with keratitis is another serious complication which is quite frequent and results in blindness. In facilities of the Native Health Services, medical monitoring of patients helped to prevent and to care for these complications, especially once antibiotics and skilled re-hydration procedures became available. Before the development of these techniques in Europe the fatality rate was in the 10% range. But today it is much lower, around 0.01%. In tropical regions with late or even no resorting to medical help the mortality rate is still in the range of 10% and even exceeds it in rural areas. 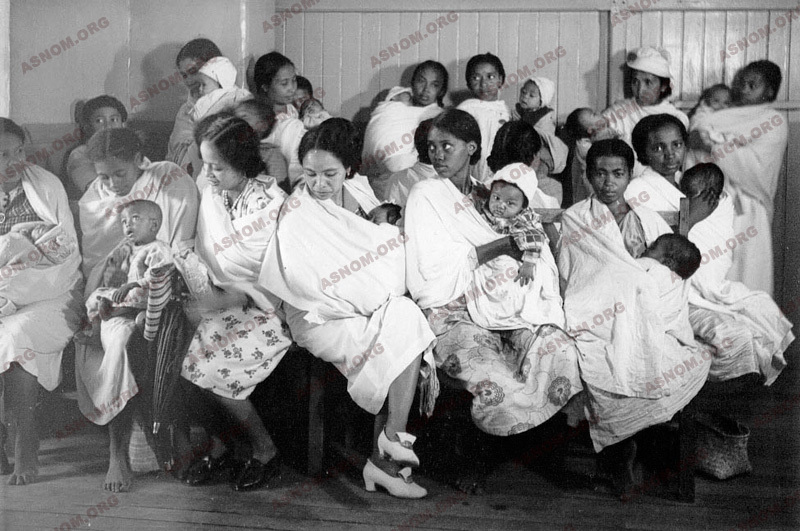 Shortly after the development of the measles vaccine in 1958 the Colonial Medical Corps did not miss the opportunity to use it and to advise the newly independent countries to implement vaccination campaigns. 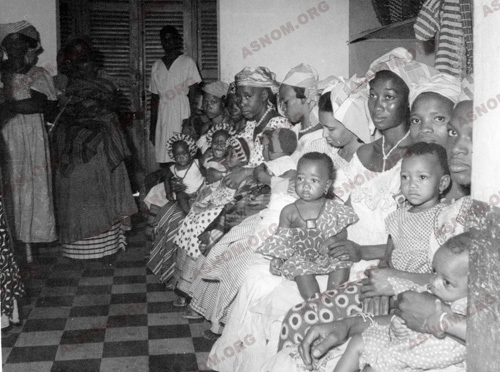 In 1962 Labusquiere* ran in the Upper Volta the first experimental vaccination campaigns with an association of measles and yellow fever vaccines which were injected while using the jet inoculation technique. Despite its widespread use, measles vaccination has not succeeded in eradicating the disease as the immunization cover of the susceptible child population remains incomplete and also because of the extreme contagiousness of this virus. With the enlarged program of vaccination which was started in 1974, WHO tackled the target of achieving before the year 1990, the immunization of all children across the world against six of the most deadly diseases namely tuberculosis, tetanus, poliomyelitis, measles, whooping cough and diphteria. In 1986 WHO asserted again that this was a worldwide priority. - Labusquière R. : La rougeole dans les états membres de l'OCCGE- Rapport IV° conférence technique OCCGE, 1964, t II p.393. - Labusquière R. : Campagne de vaccination anti-rougeoleuse en Afrique. Med. Trop. 1966,26,5,482-496. - Sagnet H., Revil H.,Thomas J., Mafart Y. : La rougeole de l'enfant sous les tropiques. 1967,27,2, suppl.1-7.